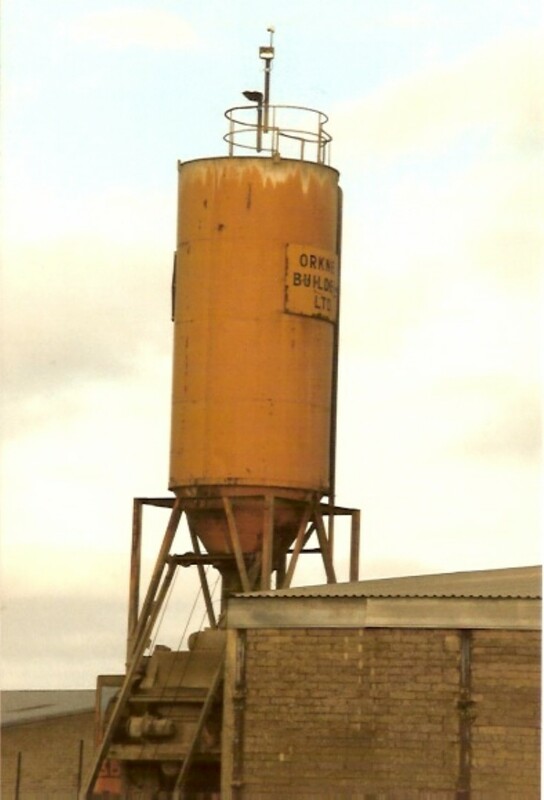 The old cement silo at the end of Orkney Builders Ltd hangar at Hatston. Photo 1991. This landmark was taken down in 1992.